Process Analytical Technology (PAT) is viewed by many in the pharmaceutical industry as expensive, extremely complex and too time consuming to integrate. However, Martin Gadsby, a Director of PAT specialist, Optimal Industrial Automation, believes that the technology is the way forward for an industry that is under pressure to deliver new drugs to market, faster, with improved quality and at reduced cost. In this article he outlines the benefits of PAT, benefits that have been proven time and again in applications undertaken by Optimal. 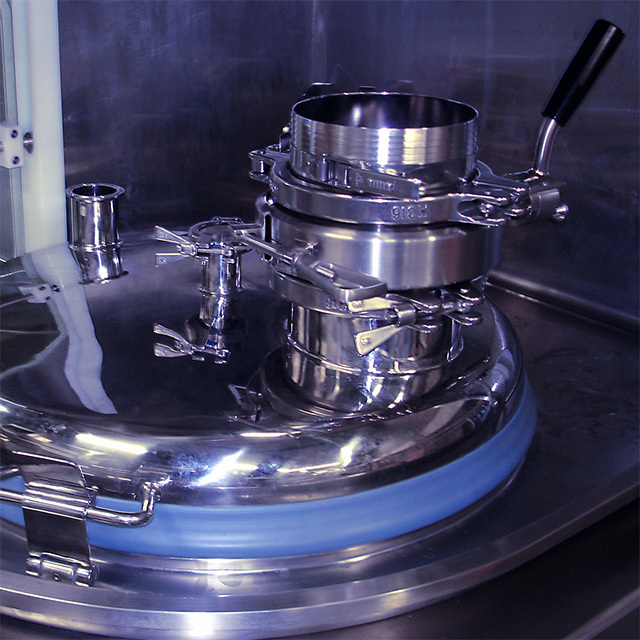 In developing new process technologies, pharmaceutical manufacturers usually have a choice between achieving improved product quality, speed of, and/or, cost of manufacture (or development). PAT, however, is one of those rare technologies that offers the possibility to deliver all of these objectives; and if correctly and pragmatically implemented can quickly provide a very real and tangible ROI. The business benefits resulting from the implementation of PAT are many, and are discussed below. Also discussed is the role of PAT Management software such as Optimal’s synTQ® package. This management software is at the heart of a PAT system. It ties all the disparate pieces of equipment and software together to provide users with a vehicle for the simplified development and maintenance of process (and control) models in a regulatory compliant way. Then, in production, it forms the framework to which all systems connect, and it ensures that all decisions are made in a timely and regulatory compliant way and that all the gathered data (which can be asynchronous) is used and presented to prediction engines in a cohesive way. Reduced product variability: by achieving an understanding of the product and the associated process control, sources of variability can be identified and managed throughout the process and product lifecycle. Reduced development and scale- up time: provided that PAT is applied early on in the development cycle, then, due to the increase in process understanding achieved, the time taken in development and scale-up can be greatly reduced. Increase patent life of new products: the direct impact of reducing development and scale- up time is an effective extension in the product’s patent life, simply because it will be in production that much sooner using a PAT system. Extend the patent life of existing products: manufacturers of aging, but still -in -patent drugs can achieve unique positions using PAT. If they apply PAT to their manufacturing process, then they have the time in which they can build up extensive running experience using closed loop PAT control. During these runs, manufacturers can refine their process and control models under a continuous improvement programme. This reduces the variations in quality and enables them to tighten the quality standards of their own product with the regulator to such a point that a generic manufacturer trying to manufacture the product for the first time will have great difficulty in meeting the required standards. Reduce production cycle times: by using closed loop process control, not only can the cycle time of any unit operation be decreased (10 fold improvements in some process cycle times are possible) by running the process more efficiently, but also the process can more quickly reach an end point that is determined by quality attributes rather than another indirect parameter. Furthermore, the post -process QA step that puts the product movement on hold can be deleted. Reduced Work in Progress: the direct impact of reducing the cycle time is the reduction of Work in Progress. If a 10- fold reduction in cycle time is achieved, then a 10- fold reduction in Work in Progress is possible. Use of alternative (less expensive) raw materials: due to the lack of process understanding, some manufacturing processes are limited to work with the raw materials upon which the process was initially validated. This means that the process cannot be used with raw materials from more cost effective suppliers, despite these materials complying with the required standards. By implementing PAT this barrier is removed, thus lowering the overall manufacturing costs. Reduce wastage during production: Some processes have in-built wastage due to inefficiencies and lack of process knowledge. These wastages can be designed in from the start and form part of the validation process. By using PAT, these wastages can be eliminated. Prevent rejection of batches: as a result of processes run under PAT- based closed loop control, and with detailed process understanding, the manufacturing process is under control and rejected batches can, in the main, be eliminated. Improvements in quality and consistency of quality: due to the process being under control, with Critical to Quality Attributes being continuously monitored and controlled throughout, process quality is inherent in the product. This leads to an overall improvement in quality, and consistency of that quality throughout. Enable real time release of product: often, there may be a long hold period of time, between a product being produced and being released for sale, due waiting for QA sign-off. By using a holistic PAT approach, where the Critical to Quality Attributes are measured from raw materials in to the finished goods out, then it is possible to use Real Time Release. In addition, where a product can be released for sale immediately after it is produced, this, again, greatly reduces Work in Progress. Improve energy and material use: due to the process running more efficiently and with a shorter cycle time, energy usage is reduced. vi. The manufacturing footprint becomes much smaller, and so manufacturing facilities can reduce in size. Release automation capabilities to improve the production process: using traditional methods, automation is restricted to controlling process parameters only. By implementing PAT, the true power of the automation system can be released, allowing it to control the whole process holistically, based on all the Critical to Quality Attributes. Meet the new FDA Process Validation Guidance: the new FDA Process Validation Guidance (issued in 2011) effectively changes the validation paradigm from the 3- batch principal to a PAT controlled manufacturing method. Without implementing PAT, meeting the new guidance will be difficult, as it will demand much higher product sampling and testing regimes. Reduce the cost of development, manufacturing and quality assurance: by implementing PAT, manufacturing costs will greatly reduce in virtually all areas, and this will make the manufacturing process much less expensive. All of the above benefits are dependent for their delivery upon a PAT Data Manager. Without the implementation of a regulatory- compliant PAT Data Manager, then a process cannot be truly monitored or controlled by PAT. The functionality of a PAT Data Manager is basically to be the real time co-ordinator to bring together a wide range of instruments (both multivariate (spectral) and univariate), MVA packages (for model building and then real time predictions), and then to either control the process(es), or else pass the CQA data onto a 3rd party control system to control the process. The PAT Data Manager therefore has to interface to control systems, as well as other 3rd party systems such as LIMS; all of this has to be carried out in a timely and regulatory compliant environment. Picture 1: PAT Management software Optimal’s synTQ. Picture 2: By implementing PAT, the true power of the automation system can be released, allowing it to control the whole process holistically, based on all the Critical to Quality Attributes.